Many things have changed since we built our first carriage in 1962. 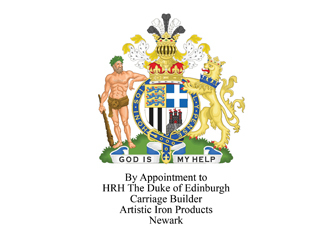 However, our mission and values remain the same namely to build the worlds finest carriages and provide exceptional levels of service to our discerning customers. Our Royal Warrant, awarded in 1979, is the ultimate demonstration of our unwavering commitment to excellence. 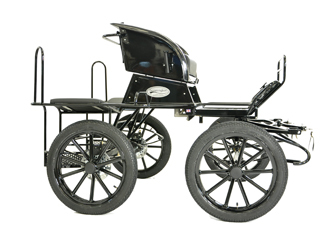 Bennington Carriages produces an extensive range of carriages, suitable for all aspects of Carriage Driving. From simple, safe carriages for the novice to sophisticated carriages that encompass cutting edge design, technology and materials suitable for the seasoned international competitor, Bennington Carriages is proud to design, manufacture and support the worlds best carriages. 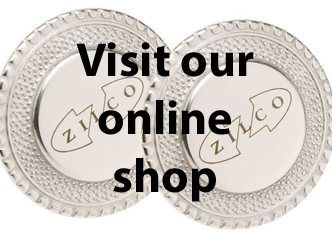 Being the largest UK stockist of Zilco harness and accessories, Bennington can supply individual Zilco harness parts as well as the full range of carriage driving accessories. Whether a replacement brow band, reins or under halters, all harness accessories are available individually. Simply order online or call us on 01400 281280 if you need our free of charge, expert advice before ordering. Established for over 50 years, Bennington Carriages is Britain's foremost horse drawn carriage manufacturer - designing, building and maintaining the very finest horse drawn carriages for pleasure and competitive carriage driving. Combining innovative design, the latest materials, craftsmanship and our renowned customer service, plus an extensive range of carriage driving accessories, Bennington Carriages offers a wealth of products and advice for all carriage driving enthusiasts. Whether a carriage driving novice or seasoned competitor, a warm welcome always awaits at Bennington Carriages - Britain's foremost carriage driving specialist. Receive details of all our latest offers and products.